Robin Hood was one of those few story sources that could slip through the cracks of our tight ideological filter and land in my personal space as a kid. Disney’s Robin Hood was acceptable, for example, or old golden-book tellings of the stories of the man. There were anthologies and retellings and, of course, dozens of Christian versions of the same basic idea of a good person doing good in the woods dealing with an oppressing, wicked government, often with a queer-coded mincing villain. Now imagine that you’re doing this from the perspective of a kid who mostly knows Biblical scholarship and doesn’t actually know that movies and TV shows are made by people, that they are stories. I actually thought for the longest time literally every single song was a literal, real experience of the person who had written it, that there was always an origin story for everything that was created. The thing that I never quite put my finger on was what the story of Robin Hood actually was. I mean, we all know there are story beats about where the story ends up, and enough of things showed up in two or three of these overlapping stories that I knew there had to be something to it, but these things actually worked to reinforce in my mind that Robin Hood really existed. After all, there were all these stories about him splitting an arrow during a competition – they couldn’t all have made that up, right? It’d be impossible for them to all make it up and get the details so similar. I guess what I’m saying is Biblical scholarship is a really silly version of media scholarship. 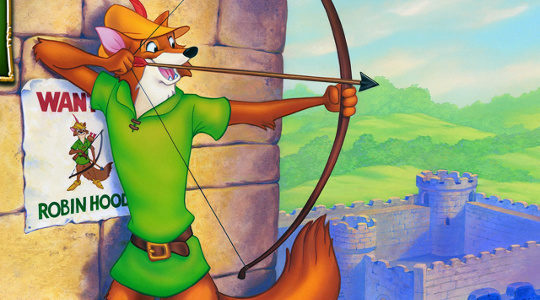 The funniest part of all this is that even now, thinking back on it… I still feel like the version of Robin Hood where he’s an actual fox is probably the truest one of the lot?